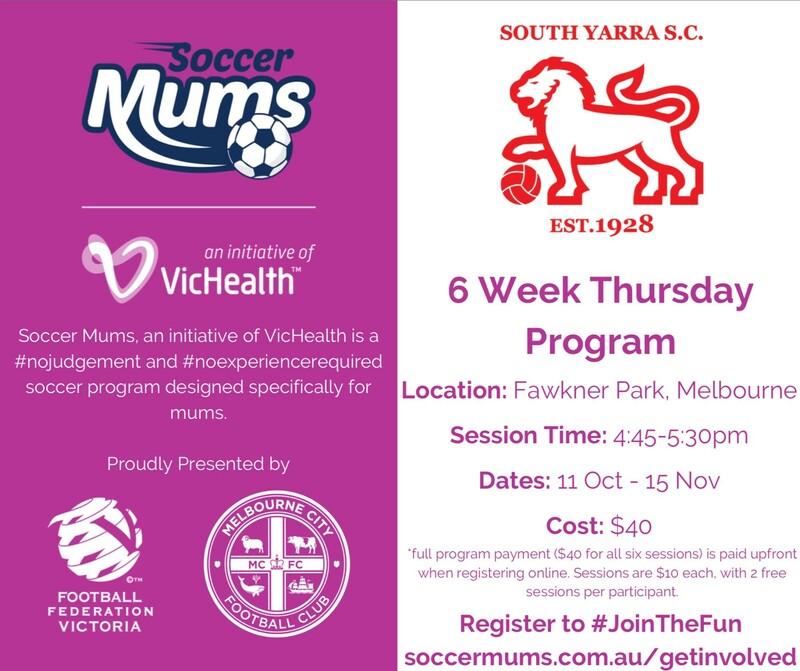 Our Summer Programs are beginning next week and we are excited to also be hosting Soccer Mums @ Fawkner Park. This is a six week fun, no experience required program that runs along side our kids programs on a Thursday. Cost is $40 for the 6 sessions which run from 4:45-5:30pm on a Thursday afternoon. First session is Thursday 11th Oct.